Who:	Presented by The Appalachian Community Development Association to help raise awareness of Appalachian culture, important in this region. The Ohio Arts Council helped fund The Appalachian Festival with state tax dollars to encourage economic growth, educational excellence and cultural enrichment for all Ohioans. Why:	More than 300,000 Greater Cincinnatians claim Appalachian roots. The Appalachian Community Development Association grants, helped by the festival, are distributed to area schools, community centers and artists throughout the Greater Cincinnati area for projects that enhance the lives of Appalachians and promote pride in the Appalachian culture. Elements:	Non-stop old timey music, hand-made crafts, down-home food, dance, storytelling, Living History pioneer village. Admission is normally $8, however KICentral members can get in for half price on Friday, May 8th at a reduced rate of only $4 simply by presenting this coupon. What a great way to spend the day before Ride Warriors Weekend! And please note that Coney`s classic rides are NOT in operation that day. 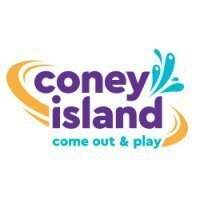 In the past, this is the weekend that Coney`s rides have opened for the year. I`m not sure if they will be open this year or not, but admission to the rides has not been included in the cost of admission to the festival in past years. Coney`s Classic Rides WILL operate for the Appalachian Festival. Please note, however, that admission to the rides has in the past NOT been included with admission to the Appalachian festival. The rides will be open from 12pm-8pm on Saturday, May 9th, and 12pm-6pm on Sunday, May 10th. Not trying to be rude or anything, but would most the people on KIC rather go to this or Ride Warriors Coaster Weekend? Well I guess you could go on the 8th. but on the 9th./10th. Most of the members will be at KI. I realize that this is the same weekend as Ride Warriors Coaster Weekend. However, not everyone on here is a die hard coaster enthusiast. Additionally, some people that are interested in the Appalachian Festival and/or Coney and not necessarily Kings Island may read this as well. Just because you are not interested in this subject, doesn`t mean others might not be. And keep in mind that the rides are NOT open on Friday. Can you get on the rides for free if you have your 2009 season pass? I am not certain, but I believe that Coney season passes are not valid for the Appalachian festival. For those looking for something to do on Friday, you can get a KIC discount. However, note that Coney`s rides will NOT be open on Friday. They will, however, be open on Saturday 12-8 and on Sunday 12-6. I would love to go to the Appalachian Festival at Coney. Granted I love roller coasters, but for health reasons I can not ride them. As mention above, not everyone for what ever reason do not ride roller coasters or at least have other interest including thrill rides. I work at Kings Island during the day and can attend after I get off work. I know that this weekend is Ride Warrior Coaster Weekend. However, some of you may want to take a break from Kings Island during the middle of the day and head by Coney Island to partake in the Appalachian Festival. In addition to the half off discount on Friday, you can find buy one get one half off admission coupons. Visit area Kroger stores or the Weekly Shopping News to pick up the discount tickets. Friday, May 8th @ the Appalachian Festival. Maybe because that was for six years ago! Yep. This is an old topic. Also, for anyone headed down to Coney tomorrow or Sunday, please note that the new ride, TopSpin (which is not a Huss Top Spin for those curious), likely will not be quite ready for this weekend. I will be working all day down at Coney tomorrow, officially kicking off my 14th season there! Terp, who likes to ask questions. The event was held this past weekend. As is usual, it was the first weekend the rides were open. It was actually a bit busier on Saturday this year compared to last year, although mother nature dampened the mood on Sunday.